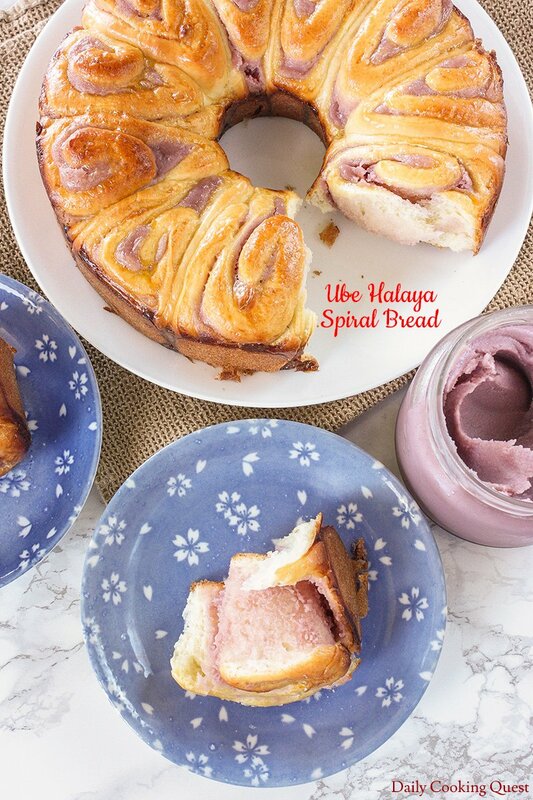 Several posts ago I shared my ube halaya recipe, and today I am going to share this lovely ube halaya spiral bread recipe with you. Don’t they just look like the prettiest bread with that lovely purple color? 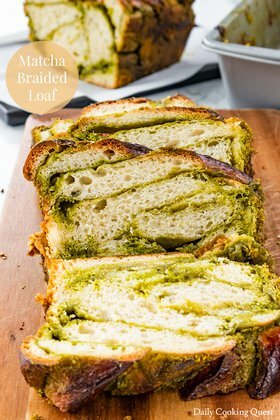 Though the bread looks complicated, I’m going to show you just how easy to make this look. 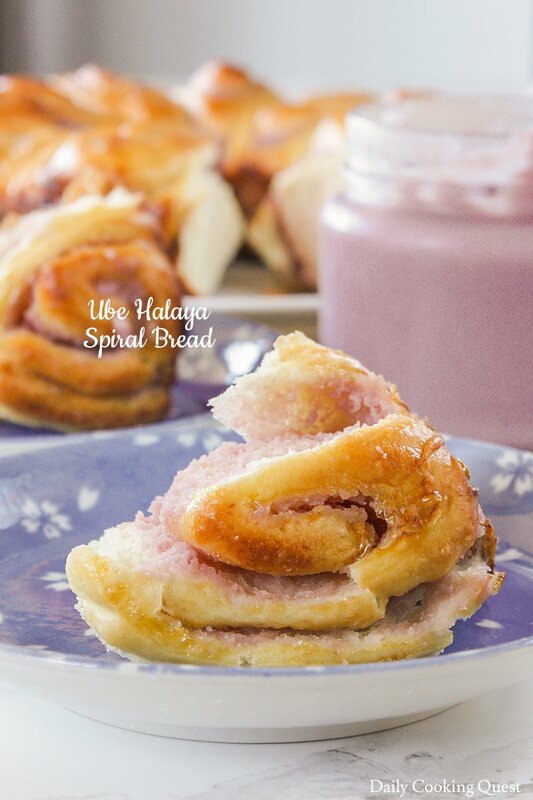 I am using my home made ube halaya spread for the bread filling. I highly encourage you to give it a try if you can, although you can try using the bottled version from your nearest Asian grocery store if that’s easier. Of course, you can always use other spread too. If you want to keep it Asian, you can use red bean paste and taro paste. Otherwise, you can even use peanut butter or nutella. As usual, I gravitate toward Victoria Bake’s killer toast recipe for the bread dough. If you haven’t noticed yet, I am super in love with this dough. 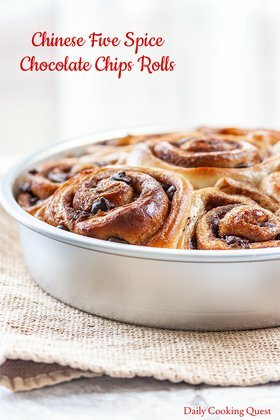 The ingredients are super simple and it is almost a guarantee that I always have them at home, plus, the one time proofing is just a wonderful time saver. If you have a favorite bread dough recipe, feel free to use that. But it has to be of the milk bread variety, of the kind you can expect to get from Chinese/Japanese/Korean bakery. 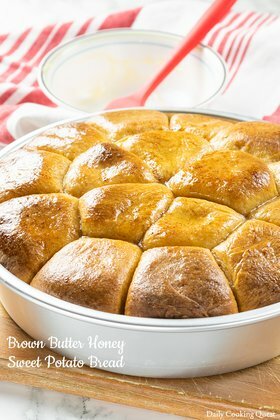 To get the bread shape, you will need a tube pan, like the ones for making chiffon or angel cakes. First, roll the bread dough into a rectangular shape, then spread with generous amount of ube halaya spread (or other spread of your choice), then roll into a log, and finally cut into 12 equal pieces. 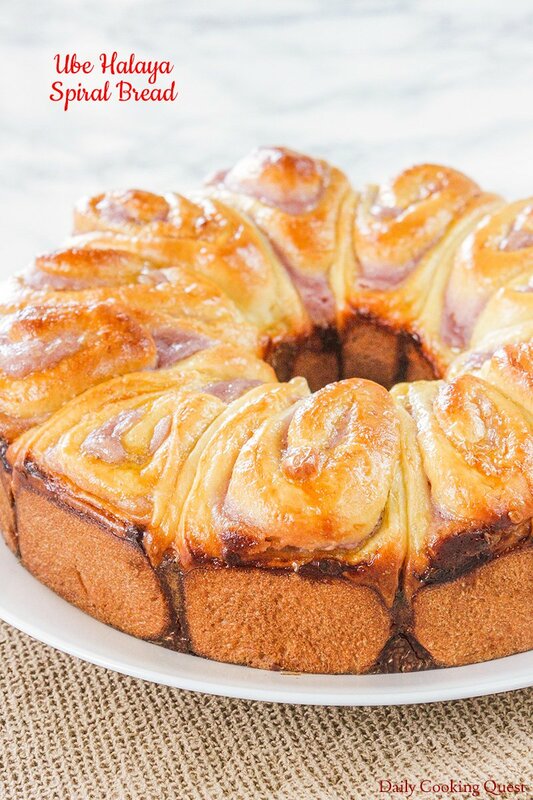 The process is exactly like the one for making cinnamon rolls or other sticky rolls, but instead of using a square/rectangular/round pan, we place the cut up bread dough in a tube pan. Once it has finished proofing, the dough will fill up the pan and magically takes this lovely shape. Mix together warm milk with active dry yeast and 10 gram sugar. Set aside until foamy, about 10-15 minutes. Whisk together bread flour (or all purpose flour), sugar, and salt. Make a well, add egg and yeast solution. Knead until non-sticky and smooth. About 10-15 minutes. Add butter and knead again until dough is not oily, soft, smooth, and elastic. Another 10-15 minutes. Grease and flour a tube pan (e.g. chiffon cake/angel cake pan). Roll bread dough into a rectangle, about 10" x 12". Spread ube halaya spread on the bread dough, leaving 0.5" of the edges uncovered. Roll into a long log, then cut into 12 equal pieces about 1" each. 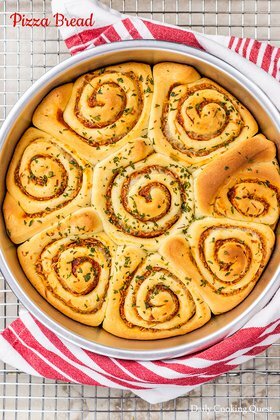 Place the shaped dough onto the prepared pan. Cover the pan with a wet kitchen towel/saran plastic wrap. Let the dough proof until volume is doubled, about 1 hour in a warm kitchen. Preheat oven to 180 Celsius (350 Fahrenheit). Brush the top of the dough liberally with egg wash, then bake in preheated oven until golden brown, about 20-25 minutes. Hi Anita thanks for sharing this recipe. Do we need to kneed the dough by hand or should we use a mixer? 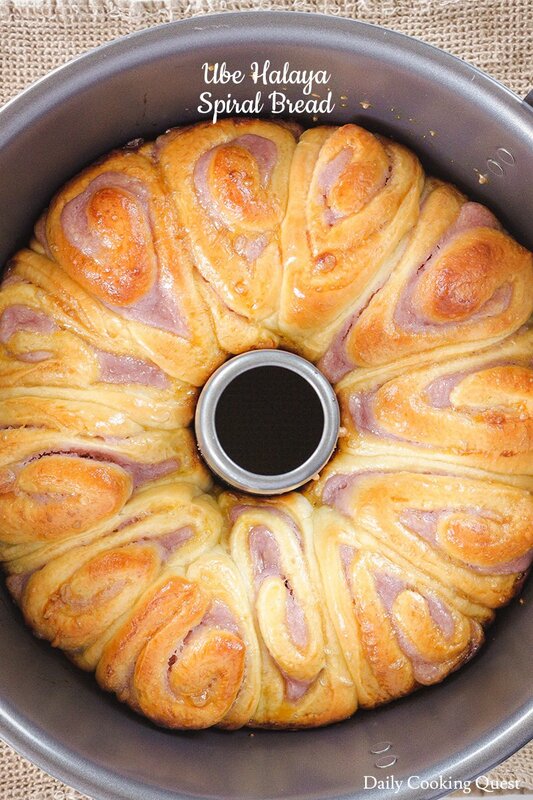 Can we use a breadmaker (such as Zojirushi breadmaker) to do it? Thanks a lot! Hi Pink, I knead by hands, but if you own a mixer with a dough hook, you can certainly knead with mixer. I don't have a breadmaker and have never tried using one, so I am not sure if it will work, though I don't see why it wont.